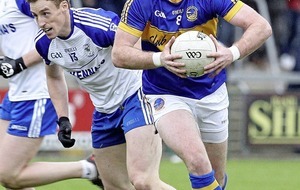 A BACKWARD pass should be outlawed in Gaelic football and the ‘mark’ needs to be extended to an overhead catch within the ’45-metre line to open up the game, according to former Antrim player Kieran McGourty. The St Gall’s man also believes any cynical foul should come under the umbrella of the black card rule. 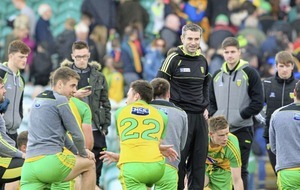 While the introduction of the ‘mark’ this season has been broadly welcomed in Gaelic football, McGourty feels the game is falling far short of its potential and that further rule changes need to be made. 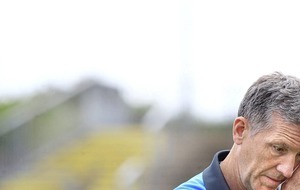 McGourty, who represented Antrim in both football and hurling for over a decade, says the GAA can learn lessons from the rules that govern Sevens football. “The rules in Sevens is you can’t pass the ball backwards in your own half,” explained McGourty. “So, automatically, if you’re a defender the next pass must be forward. Very rarely you get called up for a back pass. “And there were rules in some competitions – like basketball – where you can’t go back into your own half. “People will say the game has moved on and, tactically, you need to come up with something else. An avid watcher of many sports, the 2010 All-Ireland Club winner thinks the GAA is lagging behind in tweaking various rules to enable the game to become a better spectacle. Former inter-county referee and once chairman of the GAA’s Referees Association, Pat McEnaney told The Irish News last week that major improvements in the application of the black card were required this season if it was to be retained. And while McEnaney insists that referees have been better in applying the black card rule in this summer’s Championship, McGourty says there is a simpler solution. “I don’t think the GAA keeps up with the rules. We want entertainment so there has to be a strong sanction. People are saying the black card has to go, but I think it’s very simple – but the GAA messed it up by naming certain fouls – you [should] get black-carded for any professional foul. “Technically, you have to be pulled to the ground. I can pull your jersey but as long as I don’t pull you to the ground… Surely that’s a clear, professional, cynical foul. That’s all you need to have in the law. And I think you should be sent off for the rest of the match. “What’s the point in taking someone off and replacing them? And then the refs are getting it in the neck because of the [inconsistent] application of the rules. A schoolteacher, McGourty feels that the current black card rule favours the stronger teams with deeper reserves and cites Johnny Cooper’s dismissal in last year’s All-Ireland final replay against Mayo. Like the black card, McGourty says the ‘mark’ doesn’t go far enough in trying to make the game more attractive. “The ‘mark’ has been brought in. Why? I’d bring it in for an overhead catch within the ’45. You see Kieran Donaghy having two or three men hanging off him. But if you make a catch you get a free shot. That way there’s a reward for the ball going in high. “I don’t overly enjoy watching Gaelic football. I’d rather go and watch a hurling match but Waterford were horrendous to watch last year. They were stuffed by Tipp and they abandoned their [defensive] tactics and went toe-to-toe with Kilkenny and it was magic. McGourty was the trusted playmaker of the St Gall’s team that dominated the Antrim Championship and went on to win the 2010 All-Ireland title. He played mostly in defence in hurling and also had a successful stint with local soccer club Donegal Celtic. 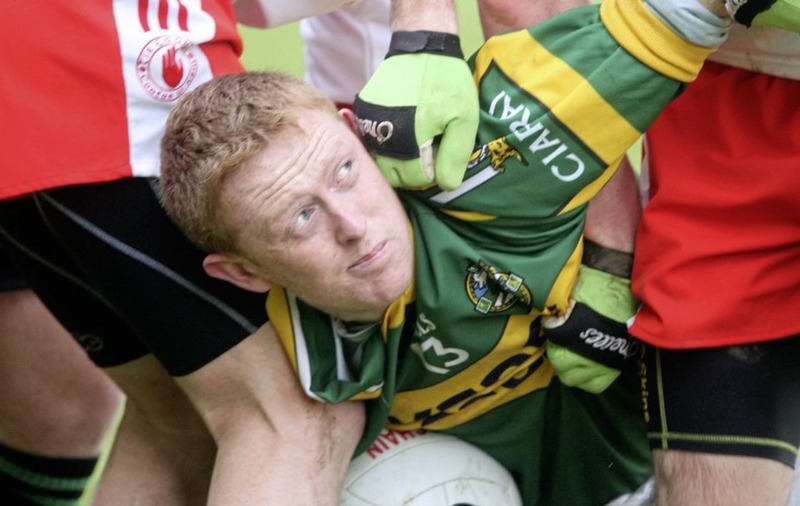 A card-carrying member of the Colm ‘Gooch’ Cooper fan club, McGourty added: “I’ve always followed Kerry and I loved Darragh O Se but then the ‘Gooch’ came along. “He just had that wonderful skill. Has he shown it the last couple of years? You could see he was getting crowded out in some matches. “If I was explaining to a kid that ‘Gooch’ was one of the best-ever players he would not believe me. People said that Bernard Brogan lost his form last year but is not more to do with the way teams are setting up? 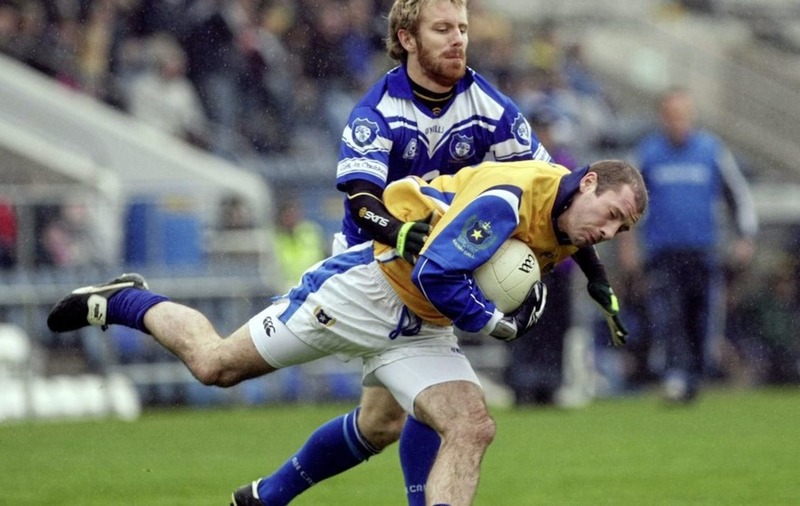 “I watched Lochra Gael and there was a piece with Seamus Moynihan and they were talking about the battle he had with Oisin McConville in the 2000 semi-final and how brilliant it was – and that’s what people want to see. “Spectators want to see top sportspeople going toe-to-toe. You look at the Kilkenny-Tipp battles over the last few years where both teams went man-to-man. “Now, that’s tongue-in-cheek but there is method to it now. “Kids are coming in and bulking up. I never enjoyed that aspect to it, and all these fitness tests. When are we going to do a kick passing test or a shooting test? “For kids, it should be about the skills of the game, hitting the ball with the outside of the boot, using both feet. Is there much point in practising long kicking? When do you use it in a game?